Each year 8-12 members of the Academy Community are selected for this fellowship that begins with a special track during Academy Week (held in August) and continues on for 9-months. Thanks to generous supporters, the program itself remains effectively free of cost and we do not take an equity position in the venture in exchange for mentorship, as many similar programs do. 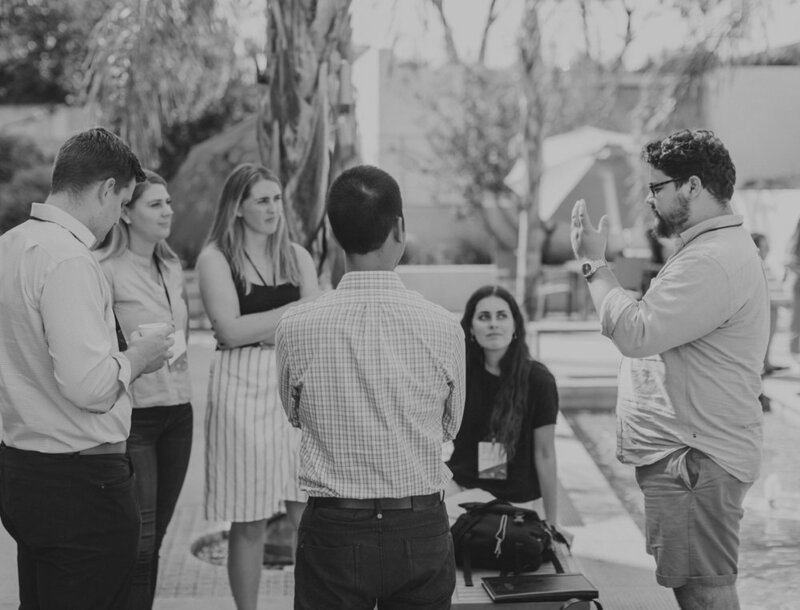 THE 2019-20 EMERGING FOUNDERS IS A 9-MONTH FELLOWSHIP THAT INCLUDES IN-PERSON AND REMOTE EVENTS TO GUIDE EARLY STAGE FOUNDERS THROUGH THE PRAXIS PROCESS OF LEARNING-DISCERNING-DESIGNING AS THEY SEEK TO MAKE THEIR VENTURE A FULL TIME CAREER. Emerging Founders kicks off 1 day prior to Academy Week where the cohort meets in-person for the first time. They then participate in our flagship event where they learn the core principles of Redemptive Entrepreneurship and begin to apply them to their ventures. By the end of the week, Founders set milestones for the program and leave with a clear plan for their personal and venture development over the 9-month fellowship. After working on their ventures and participating in the remote programming, Founders will convene for an in-person mentorship event at the Praxis HQ in New York City. They will be personally coached through the Learn-Discern-Design process by the Praxis team and a handful of mentors who are leading practitioners. In between the three In-Person events, Emerging Founders work on their ventures from wherever they choose and continue learning through virtual engagements. Pods are groups of 3-4 peers who are in a similar stage/type of venture who meet weekly to share progress, best practices, and encourage one another toward key milestones. Meetups are monthly teaching sessions on key aspects of venture building or startup stories from leading founders. Office Hours are opportunities to meet with subject matter experts on brand, story, prototyping, hiring, fundraising, operations, and more. Between the Fall and Spring events, Founders continue learning and working on their venture and being coached through the virtual engagements. They come back together to share the latest updates on their venture through a new and improved pitch deck and meet another group of mentors who provide feedback and coaching as the Founders get closer to determining the long-term viability of the startup as their full-time career. Emerging Founders is a one of a kind opportunity as we seek top founders who are either currently working full-time on their venture or testing viability so that they can do so. This is a unique position in the life stage of the founder and venture, so we’ve designed a high value program that has as little additional cost as possible for the Founder, thanks to our generous supporters. Academy Alumni will be emailed an application link on March 1, 2019. Non Alumni will first need to apply to Academy Week. In Section 02 of the application complete the “Emerging Founders Qualification” questions to share about your venture. We periodically review Academy applications and invite qualified candidates into the Emerging Founders process. 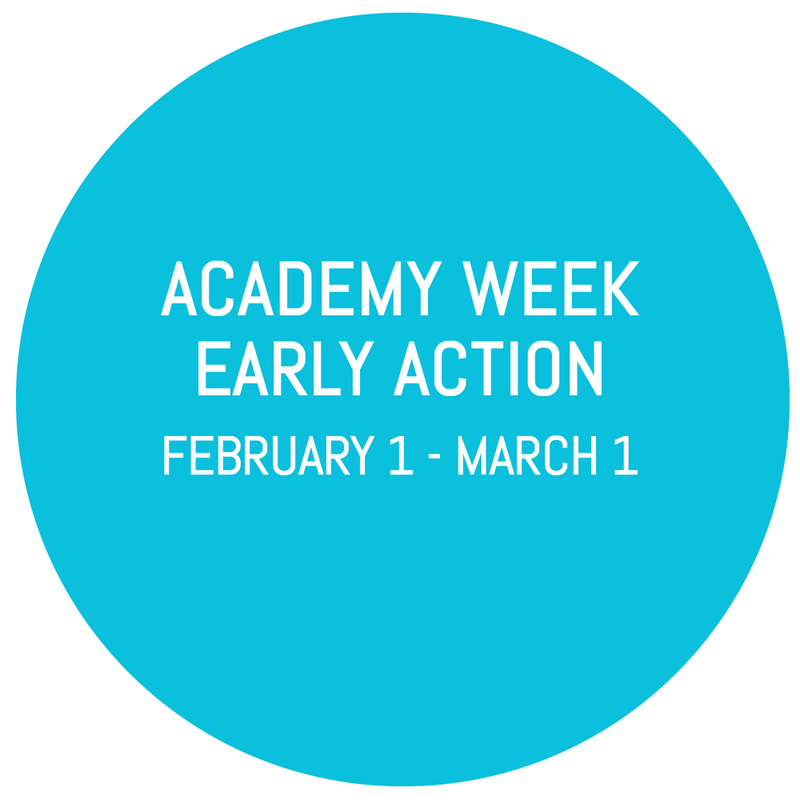 Non-Alumni are encouraged to apply to Academy Week’s the Early Action round. We evaluate these applications and invite qualified candidates into the Emerging Founders selection process. Academy Alumni may apply directly starting March 2. Non-Alumni will still need to apply to Academy Week and select the Emerging Founders option before being invited into this selection process.